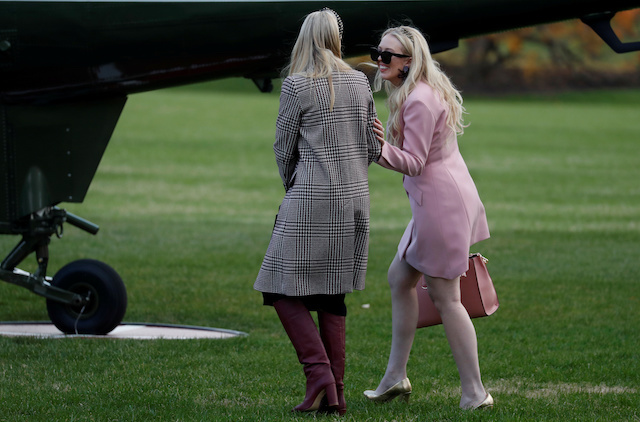 Ivanka and Tiffany Trump turned heads Tuesday in gorgeous coats when they stepped out of the White House to leave for Thanksgiving festivities with family. 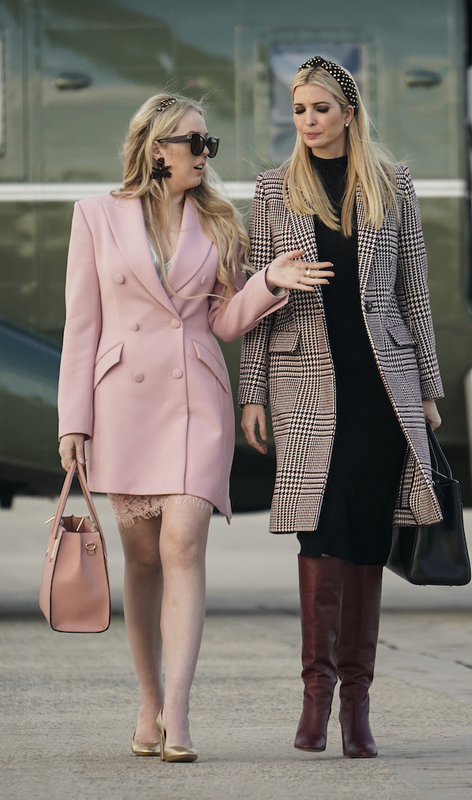 Tiffany opted for a more colorful look, wearing a great long-sleeved pale button-up pink coat. She topped the whole outfit off with loose hair, a lace skirt, pink tights and metallic gold high heels. 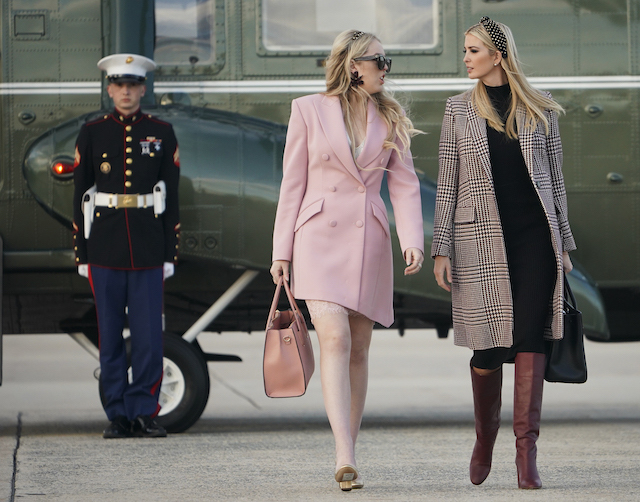 Earlier in the day, Ivanka joined President Donald Trump, Melania Trump and her family in the Rose Garden at the White House for the annual Turkey Pardon Ceremony. 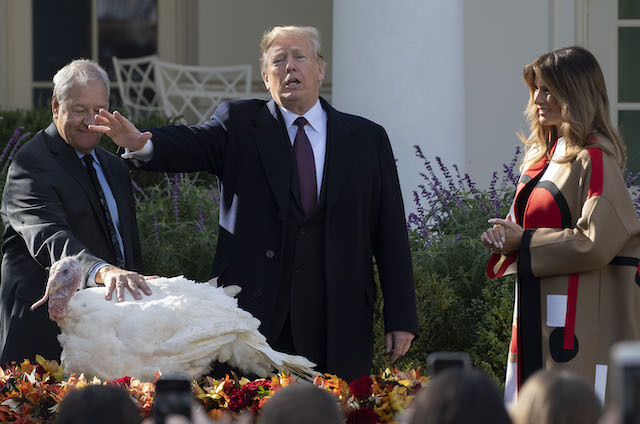 During the event, the president declared the turkey named “Peas” as the lucky winner and granted the bird a presidential pardon. A short time later, Trump also announced the turkey’s pal named “Carrots” would join his friend at “Gobbler’s Rest,” an educational facility at Virginia Tech University, per a White House pool report.